The Alberta Party, which set its sights on appealing to centrists on the political spectrum, failed to make a breakthrough in the provincial vote on Tuesday, despite the leader’s popularity. 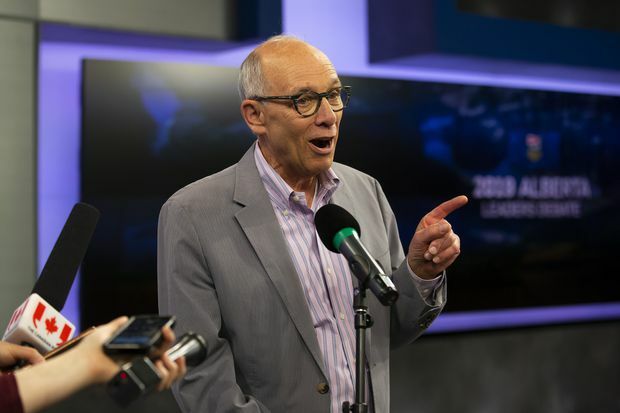 Stephen Mandel, who was Edmonton’s mayor from 2004 to 2013, was credited with a solid showing in the single televised debate during the campaign, taking on the role of elder statesman. But Mr. Mandel, 73, was unable to win his own hoped-for seat in Edmonton-McClung, losing to New Democratic Party incumbent Lorne Dach. It appeared the Alberta Party – and all parties other than Jason Kenney’s victorious United Conservatives or Rachel Notley’s chastened New Democrats – were shut out. In the previous government, Greg Clark was the only Alberta Party MLA elected as a member of the party. Two other NDP members crossed the floor to beef up its numbers in the last legislature. Under Mr. Mandel, the Alberta Party had tried to stake out a place down the middle of Alberta’s divided political climate with a business-friendly and socially progressive platform, hoping to shear away voters from the two major parties. However, it ended up receiving little attention amid the heated battle between Mr. Kenney and Ms. Notley. “In a very polarized position, it was very difficult for us to put our map in the ground showing people our different ideas. People had fixed their ways of polarization right and left and it made it difficult for us,” Mr. Mandel, wearing his trademark bowtie, said at the party headquarters in Edmonton. Mr. Mandel stressed that the party’s vote count grew from 2015, and said he expects it to run a full field of candidates in the next election. “I really believe deeply this is the party of the future in this province when people get away from this polarization and start looking at ideas, and what our party and our province can do,” he said. David Khan, who took over the party from former MLA David Swann, conceded defeat after losing in his Calgary riding.